Are You a Debt Slave? 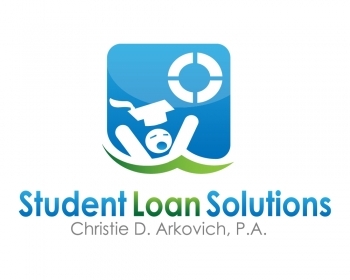 Check Out This Huffington Post Article on Private Student Loans. Are you a slave to your private student loans? We have client after client coming to see us with huge private student loans that are not going away, despite years of throwing money at them. In fact, in most cases, the balances are larger, sometimes double what they used to be. Let us help you get these loan balances and monthly payments to something sustainable, affordable and with an end in sight. While as an attorney it is difficult to tell your clients that perhaps their best option is not to pay, I just ran across this article titled “Top Ten Reasons You Should Stop Paying Your Private Student Loan” from the Huffington Post which agrees with taking such a strategic default. I have to say I agree with every one of their top ten reasons. Please take a moment and review the article. And we have taken this view for a while now, taking action on behalf of our clients to bring these unaffordable private student loans under control. As HP points out, yes it will hurt your credit and that of any co-borrower. Private student loans won’t negotiate with you for the most part when you are current. They may start calling you demanding payment once you start missing payments. This is where the consumer laws come into play. Know your rights. Review our website for actions you can take now to preserve your claims. We file lawsuit for FDCPA, FCCPA and TCPA violations all the time. This can lead to substantial reduction in the amount owed on your private student loans. They may take years to sue. As the default ages, you’ll find debt collectors often take much less than what is owed. They may let the statute of limitations expire. Unlike federal student loans, private loans have statutes of limitations which are deadlines to sue. They are often five years from the date of the last payment or last forbearance or deferment that you request, but it does vary state to state and per the contract you’ve signed. They may lose paperwork over the years, and during the various transfers among debt collectors or fail to provide you with mandatory Florida Statute written notices of assignment before filing suit. These can lead to dismissals of cases, recovery of your attorneys fees, and again, leverage to settle. If you have a moment, scan back a bit in our blog and you’ll see a couple entries on the day in the life of a student loan lawyer. The results are extraordinary in some cases. Debt is typically reduced and settled between 10%-50% of the balance, often over time, and without interest. And this is for student loans, not credit cards. Most people think since it’s a non-dischargeable claim that it’s untouchable, or that you have to have a huge lump sum payment in order to settle if they’ll even consider settlement at all. Solutions like this are a lot better than simply paying a high monthly payment and not seeing the balance decrease. If you continue down that path, you’ll owe the debt forever.